Alex Lang describes the benefits of mobile ECG devices for people with serious mental health conditions and their potential to help tackle health inequalities. It is a sobering fact that people with a serious mental illness have a life expectancy 15-20 years less than the general population. The reasons vary, but the higher rates of cardiovascular disease experienced by this part of our population are a large part of the problem. According to Public Health England data, people with a serious mental illness aged 15-74 are nearly twice as likely to suffer a stroke as the general population. Part of the reason is that hypertension, diabetes, smoking and alcohol use are key risk factors for stroke and are all greater in those with a serious mental illness. The medications used to treat serious mental illness complicate the picture further. Some can cause weight gain and obesity, which further increases risk of stroke. Others are associated with electrocardiogram (ECG) changes, and it is possible that certain drugs are causally linked to serious ventricular arrhythmias and sudden cardiac death. When we started rolling out mobile digital devices to help detect stroke risk, the stark inequality made it was obvious that we needed to prioritise working with our mental health colleagues across south London. In a mental health setting, mobile ECGs can help not only by detecting atrial fibrillation, an irregular heart rhythm associated with stroke, and helping to diagnose and treat people at higher stroke risk. They can also make it easier to offer people ECGs before they start medications when needed. The mobile ECG we are rolling out, called Kardia Mobile, is a credit card sized, single lead rhythm strip linked to an app on tablet or smart phone, that works by the user placing their fingers on it for 30 seconds. Compare this to a 12 lead ECG: it’s invasive for patients and harder for staff. Traditional 12 lead ECGs aren’t always easy to access either, particularly if a patient is acutely unwell or housebound. This is a serious issue – as patients could start medication that increases their cardiac risk without the appropriate monitoring in place. These digital devices are starting to make a real difference. One of our partners, Oxleas NHS Trust, a mental health trust in southeast London, is already using Kardia Mobile ECG devices in clinical practice. Already, this is allowing staff to increase the numbers of opportunistic pulse rhythm checks they perform to identify service users with undiagnosed atrial fibrillation. These checks enable timely detection, diagnosis for AF, and treatment with anticoagulants which can reduce risk of stroke by two thirds. Oxleas is also using the Kardia mobile ECG device for service users where a 12 lead ECG is declined or not practically possible. 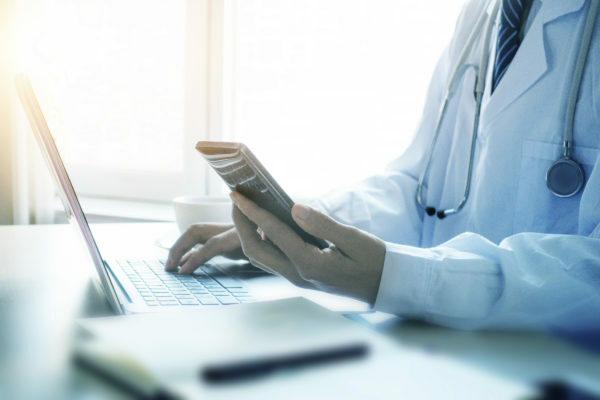 Kardia is designed to indicate whether AF is present, but by using an on-line calculator, clinicians can calculate the QTc reading from the trace, so that medication can be prescribed safely. This can then be followed up with a 12 lead ECG once practically possible. This is just one example where digital devices and innovations can make a real difference in mental health care. There are countless others, and we’ll be exploring the potential of digital innovation and its potential to help prevention, self-management and efficient and safer care at our upcoming event in January. We’re focusing on the potential of digital in mental health because too often, mental health provision has lagged behind, while physical health care has received the lion’s share of attention and funding. This is changing, but it’s crucial that mental health settings reap just as many of the benefits of digital innovation as other healthcare settings. Digital devices alone won’t change the shocking discrepancy in life expectancy. To really close this health inequality gap, the entire health and care system must make a much greater cultural shift. But we believe that innovation has a role to play in that shift and we’re committed to working with our partners to use innovation to improve care for people with serious mental illness, and to reduce wider health inequalities.